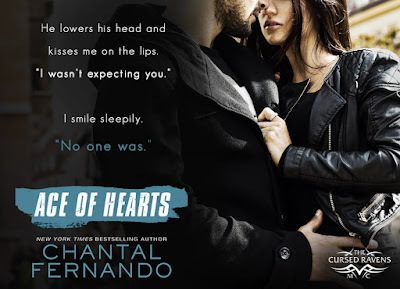 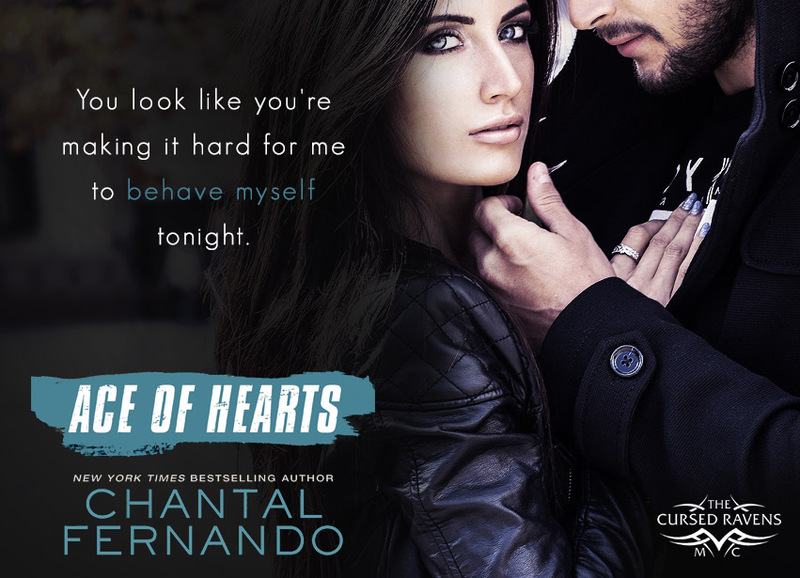 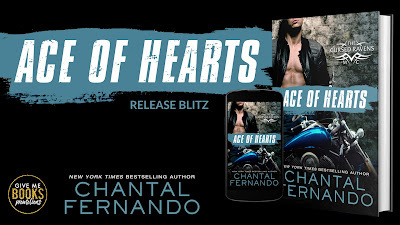 Ace of Hearts by Chantal Fernando was one the first in a new MC series and I cannot wait to read the next one!! 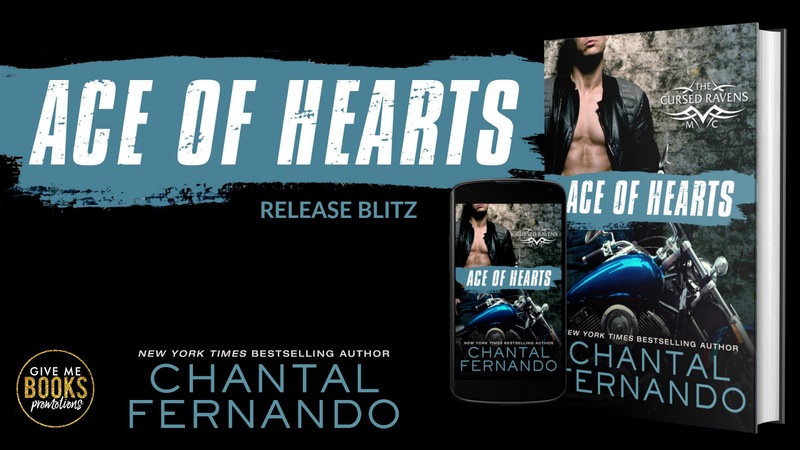 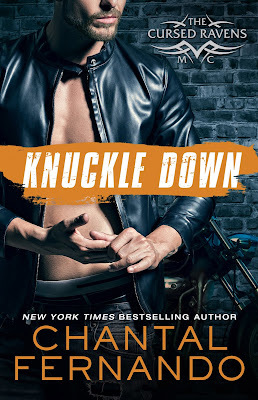 Erin has lived most of her life not realizing that her biological father is the president of a MC, and her quest to find her father is what leads her right into the hands of one of his men, Ace. 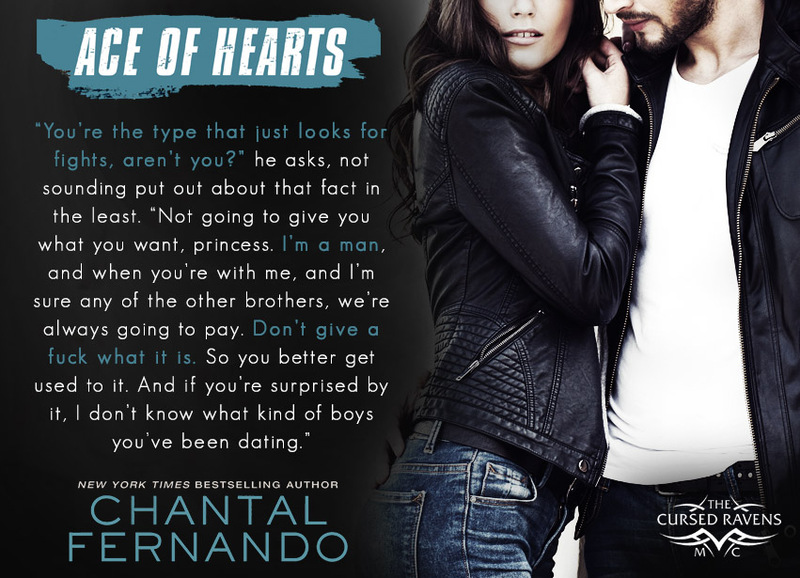 I consumed this book in one day, and didn’t want to leave this colorful cast of characters. 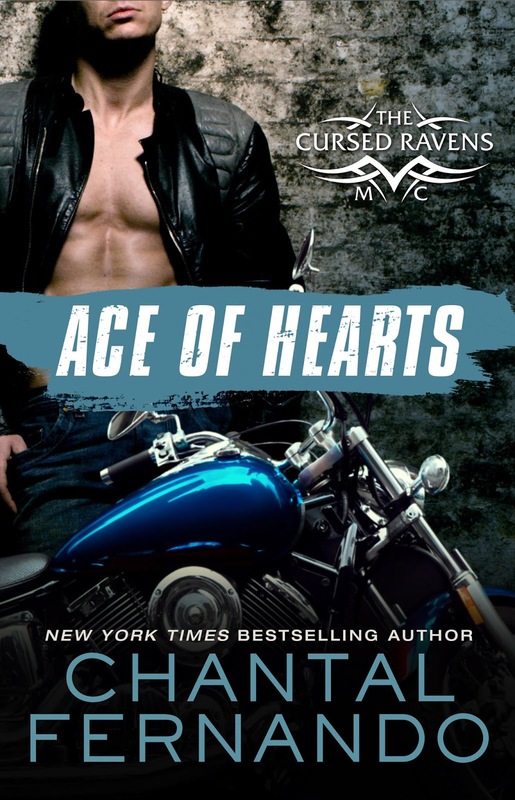 I enjoyed watching Erin and Ace dance around each other, and there was enough added mystery swirling around what was happening to Erin that keep me guessing. 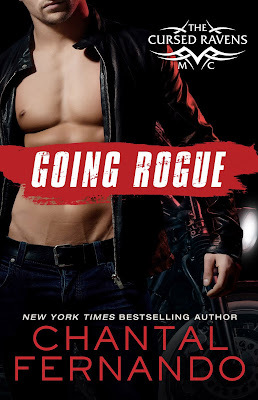 There were definitely twists that I didn’t see coming, enough unanswered questions to keep me reading, and it kept me engaged until the very end.